Question: I’m thinking of undergoing a non-invasive facial rejuvenation procedure to brighten my complexion. Do I still have time to get this done before the upcoming holiday season and if so, what are my options? Answer: Yes, there is plenty of time to schedule a non-invasive facial treatment prior to the holidays. Non-invasive procedures require very little down-time (3 to 7 days depending on the depth of the treatment). The winter months are an opportune time to schedule many facial procedures due to the weaker winter UV solar rays and can provide your facial skin with a renewed, healthy-looking glow. Holiday vacation time also provides the perfect opportunity to take advantage of time off from work. You may want to schedule a resurfacing laser treatment or mild chemical peel that will address fine lines, wrinkles, blotchiness, sunspots or uneven skin tones. These procedures can be conducted in an outpatient environment, typically in a medical spa facility without anesthetic. Depending on the depth of the laser setting or the strength of the chemical peel, recovery time will be relatively short. You may experience a redness of the surface skin and/or mild surface skin peeling for a period of several days. This can be combated with physician-recommended medical grade skincare products and plenty of rest and relaxation accompanied by increased water consumption. In conjunction with a facial treatment, we often recommend a variety of clinical injectable products that will diminish deeper lines on the forehead, and “smile lines” around the mouth or “frown lines” between the eyes in the brow area. We find that many of our patients want to look their best for holiday-related photos, and injectable products can soften crevices and related shadows captured by a camera. We advise a consultation with a board-certified plastic surgeon prior to scheduling any cosmetic treatment. Reza Sadrian, MD is one of very few plastic surgeons on a nationally recognized level dually certified in plastic and reconstructive surgery as well as oral and maxillofacial surgery. He is a Diplomate, American Board Plastic Surgery and serves as Medical Director for the Plastic Surgery and Laser Institute of San Diego. In addition to performing cosmetic plastic surgery procedures in his state-of-the-art AAAASF certified surgical suites, he offers medical grade skin care products, non-surgical treatments (including injectable Botox and fillers) and laser treatments. 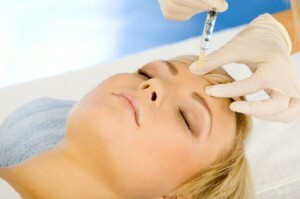 Dr. Sadrian can be reached at (858) 457-1111 or via the web at sadriancosmeticsurgery.com. Facial Wrinkles at a Young Age: What Can Be Done? Keep a daily log of calories consumed, exercises done and calories burned. Check your weight once a week. 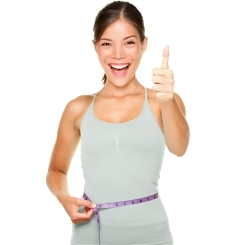 This will keep you motivated to reach your weight loss goal.